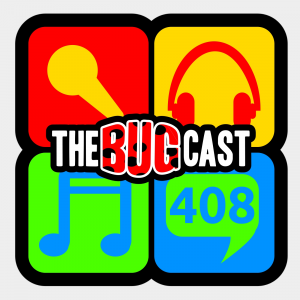 This week on The Bugcast: awards (again!) and Podcrawls (again! ), plus our usual mix of 8 amazing tracks of Creative Commons and independent music from Christian Kane, Hood Smoke, Zapple Pie, Cortland Goffena, Zoro, AJC & The Envelope Pushers, Uniform Motion, and The Blondies. This week on The McBugface: Bowie’s twin peaks, Eurovision-mania, plus our usual mix of 8 amazing Creative Commons tracks from Camaro Canyon, Port Of Est, Big Eddy And The Trailer Park 5, Kattie, Vulcano, Black Ship Company, H2O, and Relict. This week on The McBugface: McDaveface has a McRantface about McWebfaces, plus our usual mix of 8 amazing Creative Commons tracks from Familia Reggae, Mad Glory, Luck, Ty Andelman, Deep Down Inside, Vulcano, Kankel, and Kinematic.